Over 2.8 billion people in the world lack access to proper sanitation. The immediate consequences span from insalubrious environments to an exacerbation of malnutrition. But the implications are wide reaching: poor sanitation puts human security in jeopardy, as illustrated by the rapes and murder of two young women looking for a place to relieve themselves in rural India last year. Not to speak of the detrimental impact on human dignity, thus contributing to protracted marginalisation. This project aims at highlighting the impact of this human development failure in India and the Democratic Republic of Congo. In India, despite huge leaps forward in recent years, still two-thirds of the population do not have access to latrines and practice open defecation. Poverty and governance failures interact with cultural factors: a survey found that this practice is much more common among Hindus than Muslims. 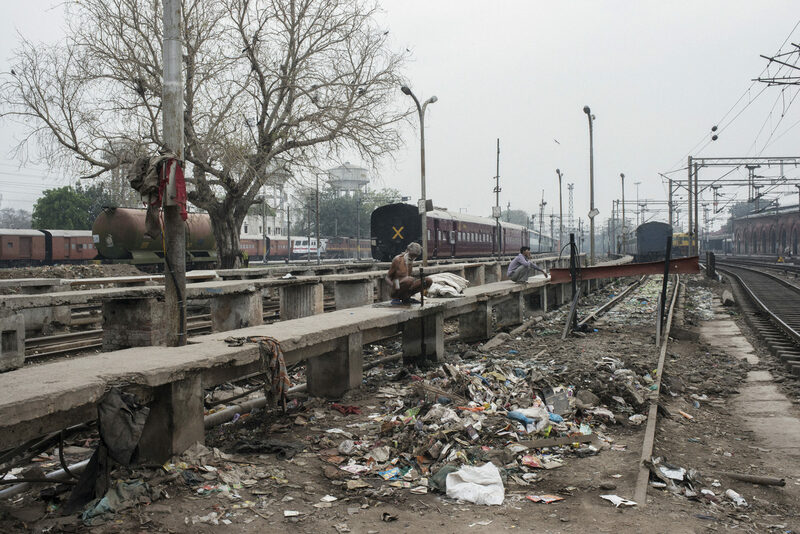 In New Delhi, the team focuses on the so-called manual scavengers, a Dalit subgroup that has no other livelihood but cleaning open sewage and dry latrines often with their bare hands. In our reportage, we recount the personal experience of the manual scavengers and the struggle for dignity of activists hailing from this group, striving to go beyond cultural explanations and looking instead at the socio-economic factors that hinder the developmental policies of the government and of the international donors. In DRC, institutional neglect and chronic insecurity force the overwhelming majority of the population into misery. The story focuses on Kinshasa, already today one of the fastest growing cities in the world and bound to be, according to UNHABITAT, Africa’s second most populous city by 2020. As decaying infrastructures buckle under the burden of the growing population, the city lives in a perennial health emergency. We tell the story of a cemetery where the living and the dead live side by side; a slum where, according to researchers at Oxford and Leuven, the global HIV epidemic may have been originated back in the 1920s; and a large fishing village on the banks of the river Congo where cholera is endemic, which sits beside the most exclusive neighbourhood of the Congolese capital. The goal is to develop compelling narratives (through words, photos and videos) of the daily lives of those who struggle to change the situation. The reportages are published online (El País Planeta Futuro, Q Code, Internazionale, Irin News) and on an interactive online feature. An exhibition is to be organised with the support of organisations working on sanitation and human rights in South Asia and Africa.